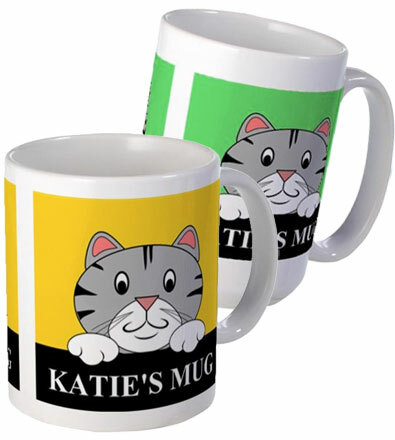 Cute personalized mugs for cat lovers and everyone else. Made of ceramic with big handles for comfortable holding. Your personalized mug will be ready to buy online within 24 hrs. Contact personalizedbyu@gmx.com.com with your color preference and size along with the name you would like printed on the mug. Be sure to say you are interested in the cat mug. Your personalized mug will be ready for you to buy online within 24 hrs.